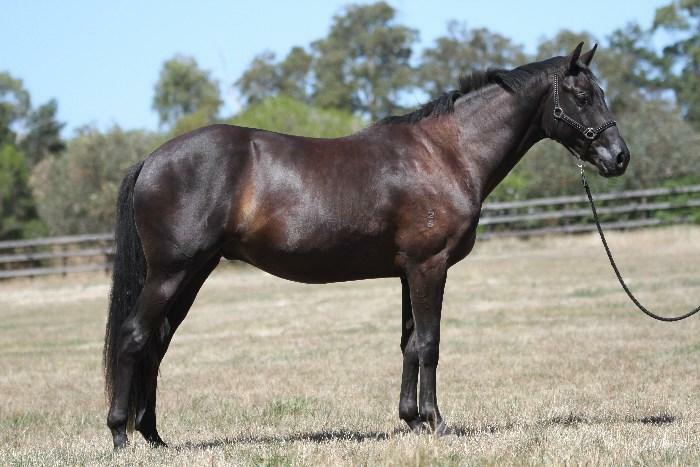 Saskia is a stunning jet black mare with movement and bloodlines that establish her value as a riding horse as well as broodmare. 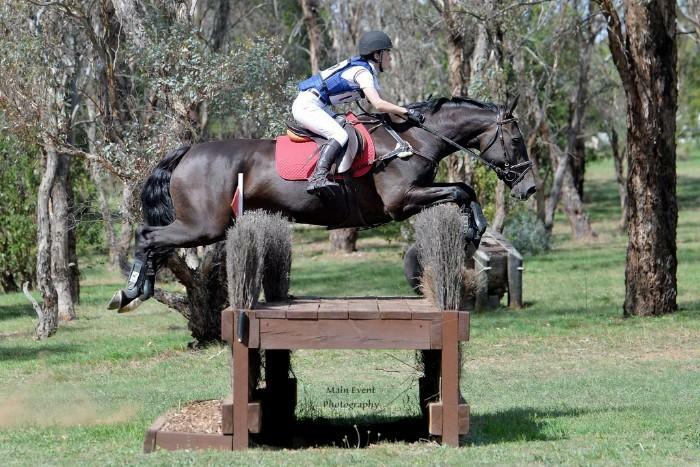 Saskia has been allowed to mature and ridden lightly for the past few years. 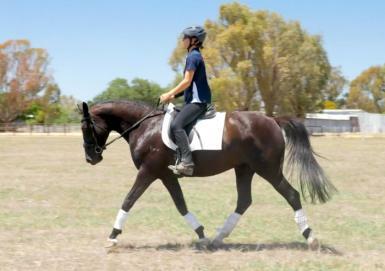 She is now ready to advance in the next levels of her training to excel in the menage or show ring. 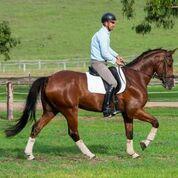 Saskia has beautiful established gaits with free moving walk; a powerful ground covering trot; extension and canter. 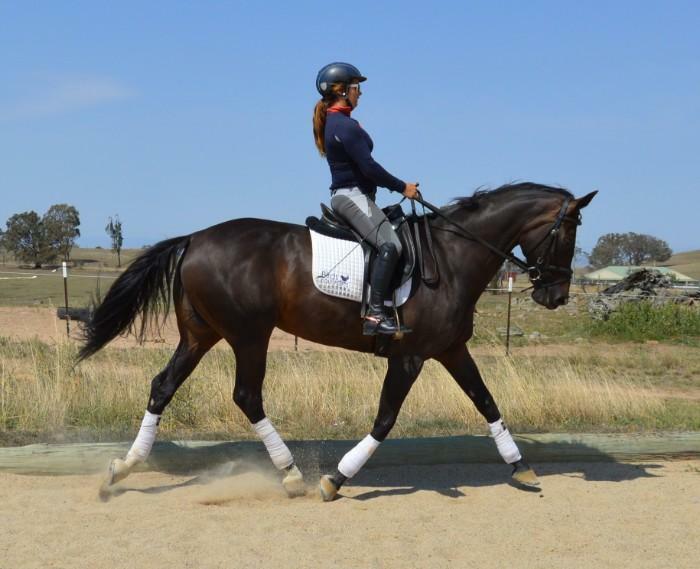 Her current education has allowed her to develop physically and mentally and develop proficiency with half halt, leg yields, turns on forehand, haunches and circles. 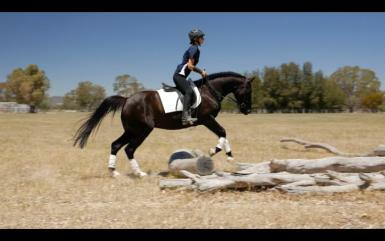 Saskia will happily work in contact or on a loose rein. 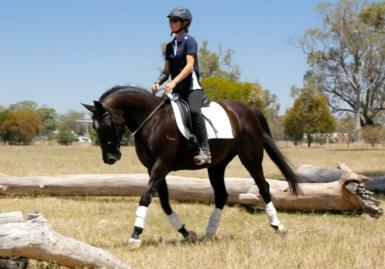 Her transitions are balanced and responsive through seat and voice cues. 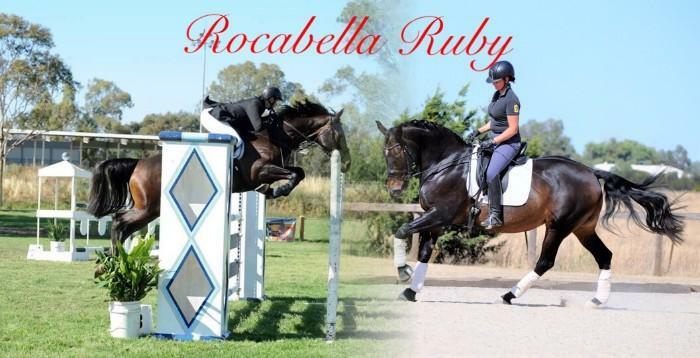 Her education has also included obstacle training, riding out through paddocks, down roads, through creeks and into a small town both alone and in company of other horses. 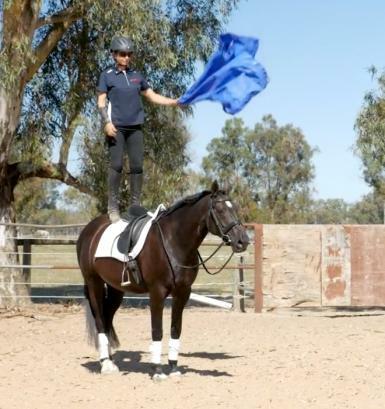 Saskia has attended a number of clinics covering both in hand and ridden skills. 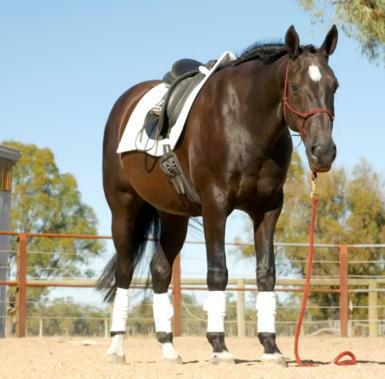 Great to catch, rug, float, worm and stands well for the farrier and dentist. 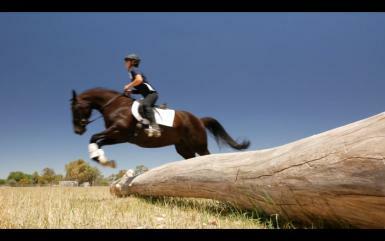 She even enjoys being vacuumed! 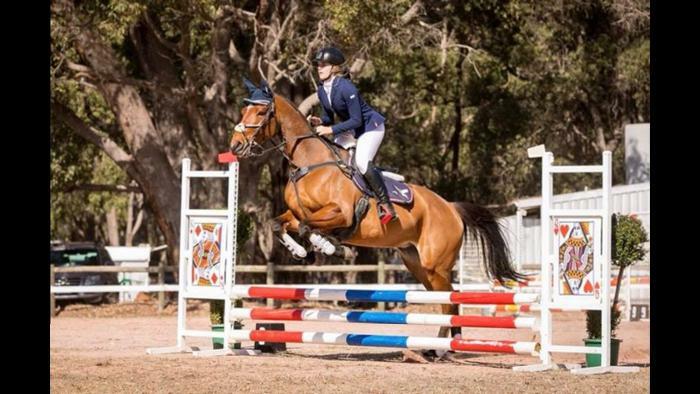 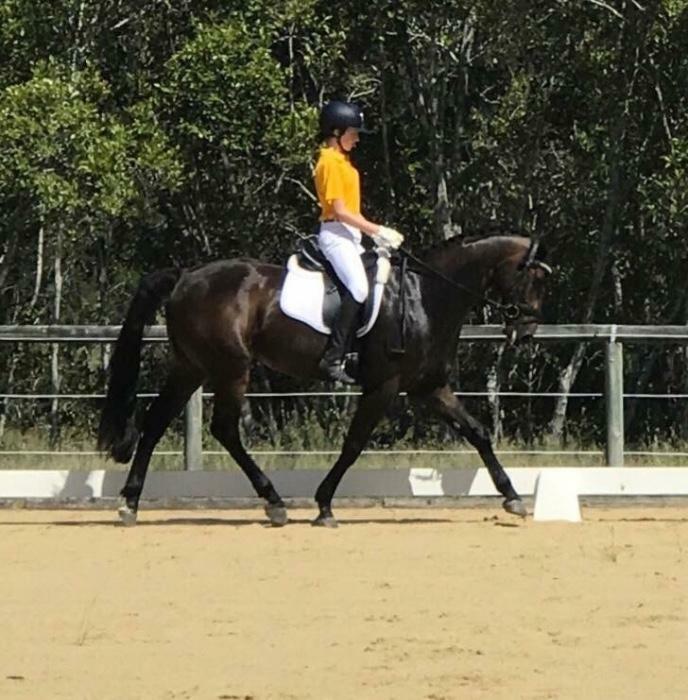 Saskia has natural talent and unlimited potential, requiring an experienced and confident rider to advance her further in her education.